Miriam Gohara is a Clinical Associate Professor of Law at Yale Law School. Professor Gohara spent sixteen years representing death-sentenced clients in post-conviction litigation, first as assistant counsel at the NAACP Legal Defense Fund (LDF) and then as a specially designated federal public defender with the Federal Capital Habeas Project. Miriam Gohara is a Clinical Associate Professor of Law at Yale Law School. Before joining the Yale Law School faculty, Professor Gohara spent sixteen years representing death-sentenced clients in post-conviction litigation, first as assistant counsel at the NAACP Legal Defense Fund (LDF) and then as a specially designated federal public defender with the Federal Capital Habeas Project. Professor Gohara has litigated cases in state and federal courts around the United States, including the United States Supreme Court. At LDF, she also spearheaded the Mississippi Gideon Project, a policy and public education campaign which aimed to establish a quality statewide public defender system and became a model for indigent defense reform efforts nationally. Professor Gohara teaches and writes about capital and non-capital sentencing, incarceration, and the historical and social forces implicated in culpability and punishment. 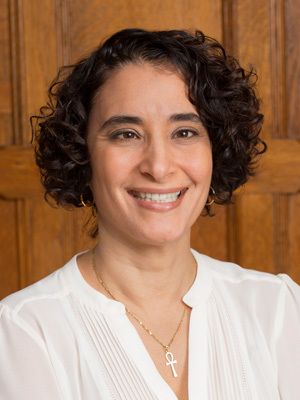 In the spring of 2013, Professor Gohara was a visiting clinical professor at Columbia Law School, where she taught students to represent youth and adults in civil proceedings collateral to criminal cases, including school disciplinary hearings and housing evictions resulting from tenants' criminal prosecutions. Professor Gohara is a member of the board of trustees of the Neighborhood Defender Service of Harlem. She is a graduate of Harvard Law School and Columbia University.